Looking for peace and tranquillity in order to escape your everyday life? Check out our selection of picturesque havens from around Australia and New Zealand. Crystal clear blue water and a sun-drenched white sand beach – that’s how many would describe their dream holiday. Visit the Whitsunday Islands, in the sheltered waters of the Coral Sea, and you can make that dream a beautiful reality. 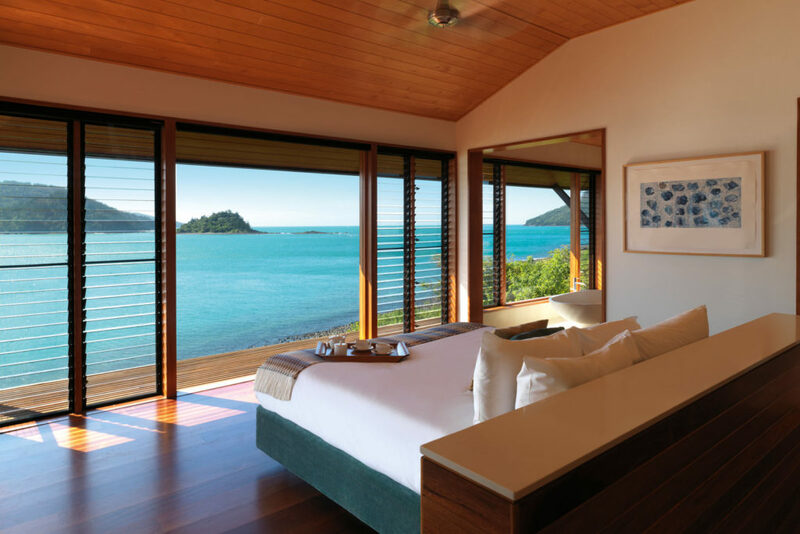 On the northern-most tip of Hamilton Island, Qualia combines luxury and mindfulness – in Latin their name even means ‘a collection of deeper sensory experiences’. From here you can dive in the local coral reef, fly by helicopter or seaplane to snorkel the Great Barrier Reef, or just enjoy the peace and quiet of your own private sundeck. There are few Australian landmarks as iconic as Uluru. The aweinspiring rust-red sandstone monolith, sacred to the Anangu, rises majestically from the landscape. 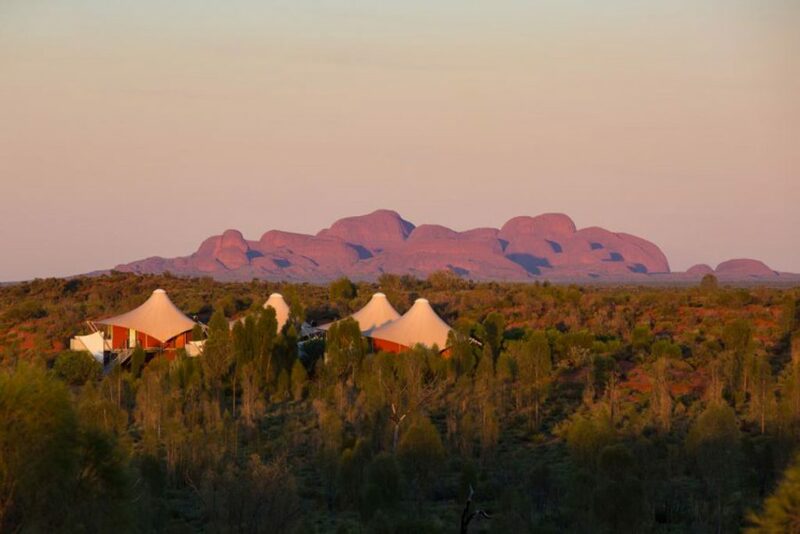 Make the journey through Uluru- Kata Tjuta National Park to this serene expanse and stay in one of Longitude 131os luxury tents. Visitors are discouraged from climbing the sacred site, but when it’s so beautiful to sit back and watch Uluru change colours from your balcony daybed why would you even want to? And after the sun sets you can relax under the vast night sky and enjoy heavenly views of countless stars. 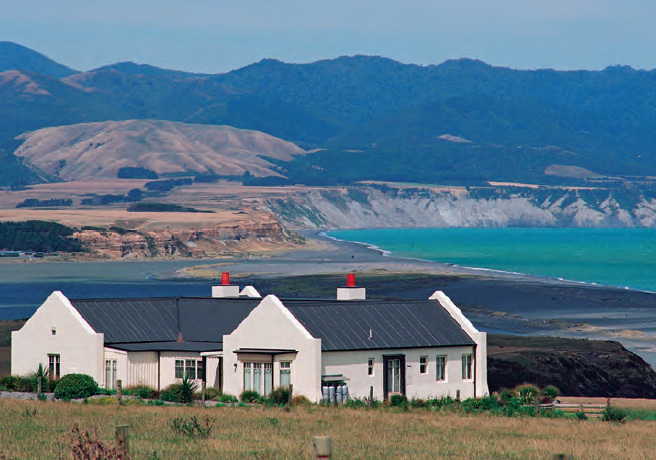 Southeast of Wellington lies the Wharekauhau Country Estate, which boasts a working sheep farm and ancient native forests, all high above the beautiful surf of Palliser Bay and Lake Onoke Sandspit. You can relax in pastural seclusion or venture outside for mountain biking, horse riding, or any number of walking trails on the 5,500 acre private property. The Wharekauhau kitchen has a ‘Locavorian’ philosophy: all food served in the Lodge is grown onsite in the gardens and orchards or sourced locally. They can even pack a picnic hamper of delicious produce and set it up at a prearranged location for you. For visitors to NSW’s Blue Mountains, the Wollemi Love Cabins can provide a getaway unlike any other. 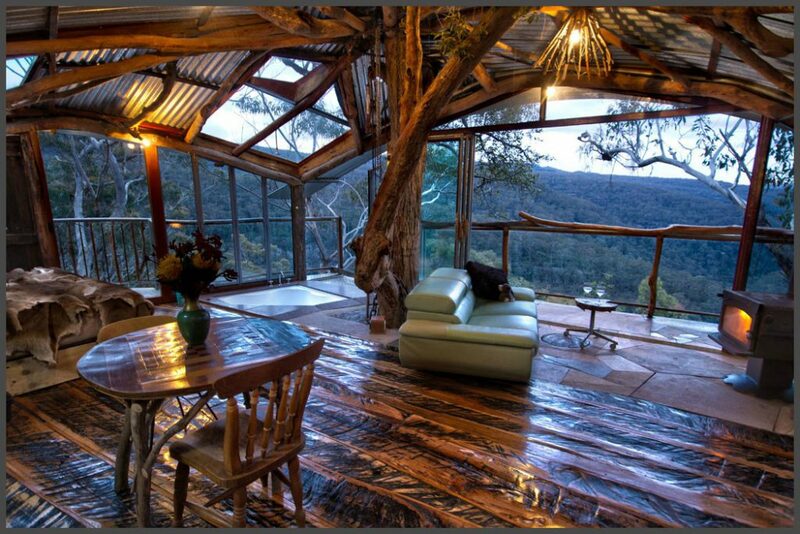 Guests who love a birds-eye view can indulge their inner child and book the Secret Treehouse. Leave your stress behind, open the floor-to-ceiling windows, and take in the Bowen’s Creek Gorge from your private hideaway. Or for a truly unique experience, try the Enchanted Cave; built into a rock platform high in the mountain, this primal bedrock space can be opened up to the outdoors for an immersive experience in the wilderness of the Blue Mountains.